Few people in the FBI have the experience cracking down on public corruption quite like Michael Anderson. Anderson, the new boss of Chicago’s FBI office, has written the bureau’s Public Corruption manual and led investigations into former New Orleans Mayor Ray Nagin and lobbyist Jack Abramoff, the Chicago Tribune reports. In mid-October, the 48-year-old will become special agent in chafe of the Chicago FBI after three years at the helm of the bureau’s New Orleans division. Anderson’s career with the FBI began in 1995 in Miami, where he began investigating public corruption. He moved on to Washington in 2001, also helping investigate public corruption. 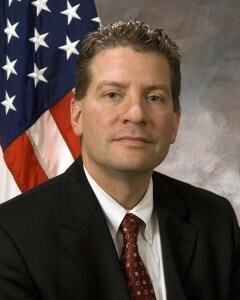 In 2006, Anderson led the Public Corruption Unit at FBI headquarters. Posted: 9/22/15 at 9:39 AM under News Story.